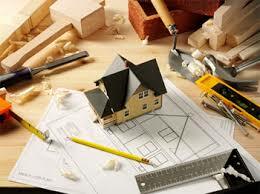 One of the most important aspects of real estate investment is completing the rehab the right way. Many investors buy "turn-key" properties, meaning the home is already rehabbed at the point of sale. However it is still important to inquire about the quality of the rehab from the broker or seller. If you're buying a property in a different country or state, ask about the mechanical systems and the last time the home was rehabbed. There are two main things to focus on when completing a rehab: an aesthetically pleasing cosmetic finish, and preventive maintenance. For investors that don't buy turn-key, it's a great idea to purchase a property that needs a little work. This way you can get a solid property significantly under market value. Many investors and primary homeowners are intimidated by larger scale rehabs. This can work in your favor because there is less competition among buyers. Sellers of homes that require a lot of work also tend to be more willing to negotiate. If the house is listed on the MLS you should always schedule a walk-through, preferably with a contractor that can give you an accurate estimate. Investors buy properties according to two main strategies: Buy and Hold or Fix and Flip. Depending on the investment strategy the type of rehab will vary. If you are buying a property to buy and hold, the objective is to focus on the mechanical systems. The most important things to assess are the home's structural foundation, roof, plumbing, and HVAC system. The foundation should be checked BEFORE purchase since correcting a foundation issue can be very expensive, jeopardizing the profitability of the investment. Also, do not skimp on the main structural systems including the HVAC. For example, always opt to install a new high-efficiency furnace instead of trying to save money by installing a used one. In the long run the used furnace will end up costing you more in repair costs and maintenance. Also, we suggest that you ALWAYS change the entire plumbing system in the home. Opt for PEX instead of galvanized or copper (more expensive) if you are rehabbing a rental property. If you are rehabbing a home with the intention of re-selling it on the open market, its a good idea to use higher end materials. Install granite counter-tops, higher end tile, and fixtures in order to appeal to home buyers. The key to completing a good rehab is to strike a good balance between an attractive cosmetic finish while staying within budget. You can complete an aesthetically pleasing rehab without breaking the bank. For example, adding a back-splash design to the kitchen sink provides a nice finish but is relatively inexpensive. Stores like Home Depot sell "peel n stick" back-splash tiles which are more cost effective than installing real stone. You must keep in mind that you will be competing with other landlords for prospective tenants so you shouldn't use the cheapest material possible. The type of kitchen and bathroom tile you should use is a prime example of this. The cheaper linoleum tile may be less expensive, but for less than a dollar more per square foot, you can install ceramic tile. In many cases you can also use higher end ceramic tile which looks great and will be much more cost effective that marble or other high end material.